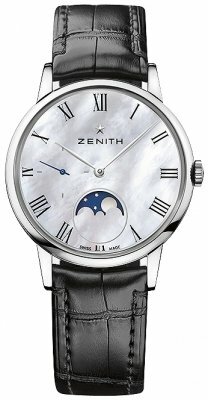 Large selection of Zenith watches for sale at discounted prices. Enjoy free shipping and top notch customer service. 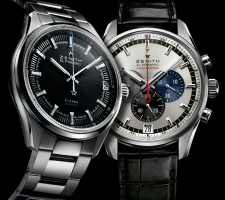 In 1965, the Zenith El Primero watch made history, measuring up to 1/10 of a second with its movement beating at 36,000 vph. Popular series are Zenith Captain (aka Capitain), Zenith Heritage, the Zenith Pilot watches such as the Zenith Pilot Montre d'Aeronef Type 20, and the Class Elite ladies Zenith watches. 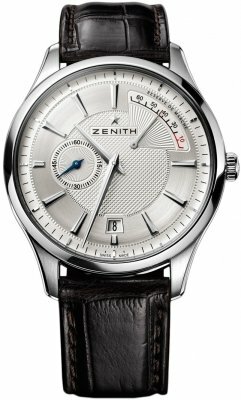 Zenith won over 1565 prizes in chronometry. The ultra-thin Zenith chronograph & the Zenith Elite was voted best mechanical movement. It is said that one night after Jacot finished a movement he considered almost perfection, he went out and looked at the stars and he felt the cosmos almost speak to him, he saw the gigantic constellation turning around the Pole star similar in the complexity to the movements of the pivots and the wheels on their axes, he decided then to call his new Zenith movement and its manufacture after the word that designates the highest point in the universe, ZENITH, the star was adopted as a brand symbol as it is still today. By the time Jacot retired in 1929, Zenith had made watch history, winning grand prix medals for timekeeping precision at international expositions in Geneva, Paris, Barcelona, and Neuchatel. 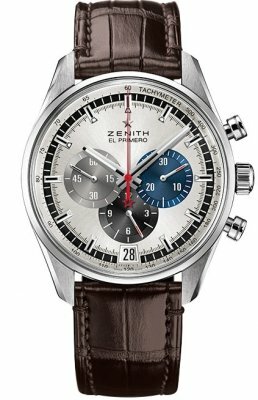 In 1969, the Zenith company won renown for introducing the world's first automatic chronograph movement, the Zenith El Primero. 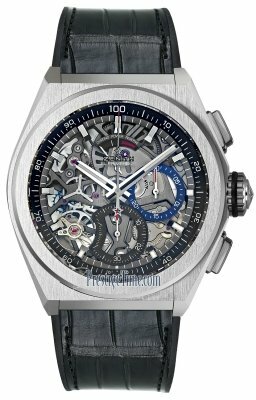 Oscillating at 36,000 alternations/hour, the Zenith El Primero was able to measure short time intervals to a tenth of a second, an unsurpassed world record. 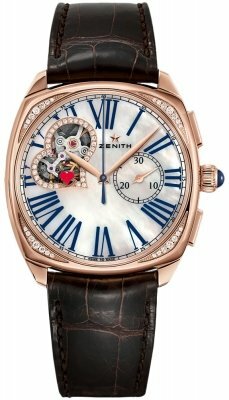 In 1995, Zenith watches launched a new generation of ultra-thin chronographs, the Zenith Elite watches, recently voted best mechanical movement by the professional press. Since its beginning, Zenith has been recognized with more than 1,565 first observatory prizes in chronometry, making it the Swiss brand most rewarded for precision.